After signing a new three-picture first look deal at Paramount, where he has been for years, Jerry Bruckheimer announced that several projects that have long been gestating are getting a fresh shot of adrenaline. Top Gun 2, with Tom Cruise interested in reprising his role as Maverick from Top Gun, will be moving forward… as will a Beverly Hills Cop reboot... that perhaps might even still go by Beverly Hills Cop 4. 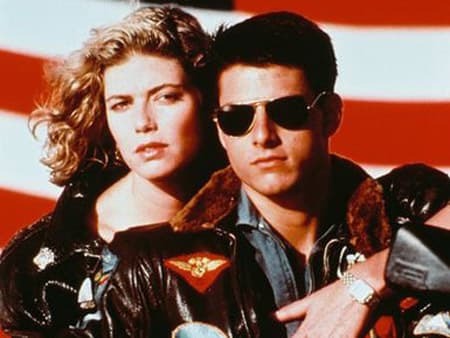 We’ve long heard about the Top Gun 2 effort, but now with Bruckheimer looking to move with the ink still wet on his Paramount deal, look for that film project to gain serious steam. If Cruise is involved, which we bet he will be, look for him to take the role of an instructor in the Top Gun school, who gets dragged into a military conflict. His age is what puts him in the more professorial role, but Cruise’s desire to be involved in cinematic action will have him fighting from inside a cockpit and you can count on it. As for that Beverly Hills Cop reboot, that too has long been in the works. There was a CBS pilot featuring Brandon T. Jackson as Axel Foley’s (Eddie Murphy) son that never got picked up. Given Murphy’s desire to get back in the limelight, look for him to be like Cruise and sign up to work with Bruckheimer again. To which we ask… is it the 1980s again?